Herb Pharm Echinacea PropolisThroat Spray is an herbal spray for Sore Throats, Coughs, Cold Support, Immune Building. 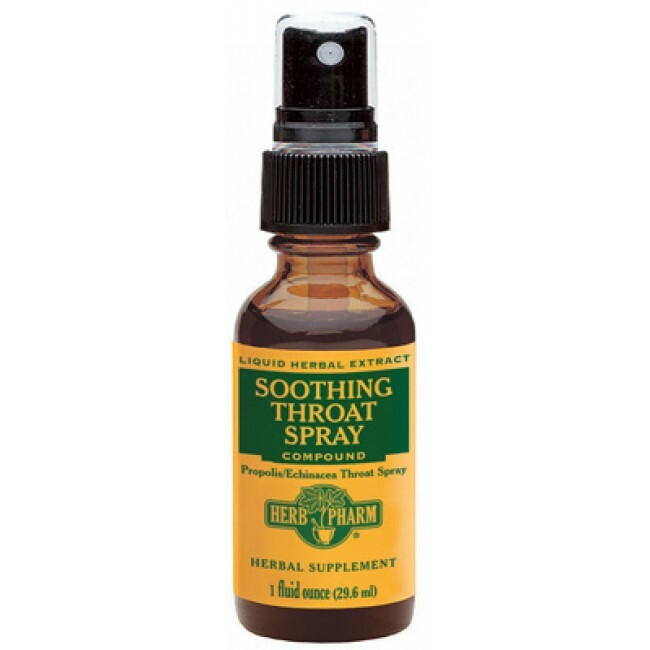 It works great when sprayed on the throat periodically throughout the day at the first sign of throat irritation. It contains Echinacea root, Propolis, Hyssop leaf & flower, Sage leaf, and St. John's Wort. Not for individuals with Bee allergies due to the Propolis. Try it you will love it!